2 exciting classes this weekend! I’m involved with teaching 2 classes this weekend that should be terrific! Read on! If you’d like to come to either or both, please RSVP at 505-983-9706 so I know how many ingredients to buy for the Jam class and number of handouts to run out for both classes. We won’t be confirming your RSVP– just know you’re in! Come to one or both! Learn how to make your own rain barrel with this hands-on workshop. Amanda will cover the basic elements of rain collection systems including sizing and sitting your tank as well as keeping the water clean. We will also discuss accessories like tank gauges, first flush systems, and filters for DIY systems. 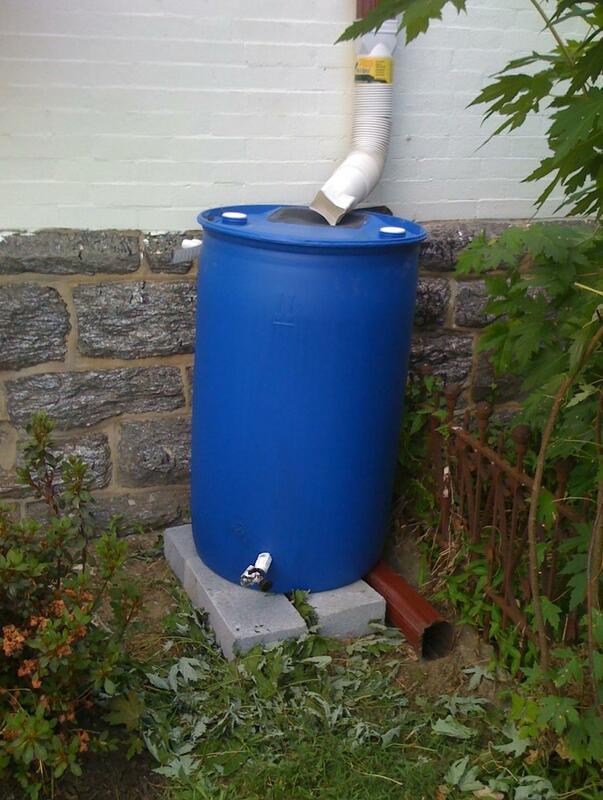 Jannine will demonstrate making a rain barrel out of a 55 gallon drum. Amanda Bramble is the director of Ampersand Sustainable Learning Center in Cerrillos, NM (www.ampersandproject.org). Class is free but we have a suggested $10 donation or become a 2014 Member for $35 and the following free: classes, potlucks and one ticket to the big tour on July 27th. 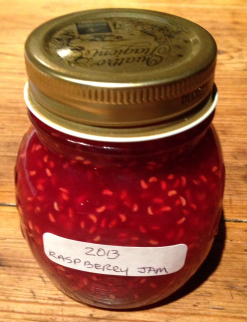 In this preservation class, you will learn how to make and process jams with available seasonal fruit. The twist on this jam session is our emphasis will be on adding unusual ingredients to make unique artisan jams. We will hand out recipes. We will also go over basic canning processes. You’ll get a jar of jam to take home! Come jam with us! This entry was posted in Building a rain barrel, CLASSES, COMMUNITY ORGANIZATIONS, GARDEN CLASSES, GARDENING TIPS, general, HomegrownNewMexico and tagged jam class, preservation class, rainbarrel class. hi, its olin. I was wondering how your pumpkins/ gourds are doing? I have a 19dap on my kin but it seems to be very slow, squash bugs, afids, leafhoppers, gummy stem blight probably not a record. I finally got some lg’s to sprout, but they are not doing much. Hope you’re doing well. Just lost the 556 pumpkin to a squash vine borer. Pollinated one flower today on the 1104 Wallace pumpkin but it wasn’t a very strong flower so we will see. I severely cracked the 1579 Wallace a while back on the main but a secondary took over but only male blossoms so far on that one. Lots of squash bugs but no aphids on the pumpkins but on other stuff. The long gourds just started climbing the tall trellis and are looking good. I’m also trying African Bushel Gourd which is a really big gourd just for fun. Also started giant marrows-took 2x before they came up but they are now up but way behind but they grow really fast so not too worried. Hoping to beat my giant marrow record of 63lbs but as you can see it’s not easy breaking our own records much less someone else’s! I had a friend who had the Colorado State Record years ago for Giant Pumpkin and it took him 23 years to break the record again..The 79 tomatoes are doing great and the rest of the garden is doing fine but i worry about possible hail damage everyday. Ahh, the trials of gardening! Good to hear from you Olin, I really like having someone else who enjoys growing GPs in New Mexico! What is 19dap in your message above? i have a 1544 reiver, 19 dap was 50″ circumference. It already shows signs of aging at the stem. If i had space or the flowers i would cull it and try another, but i just have to ride this one out. Next year its on!